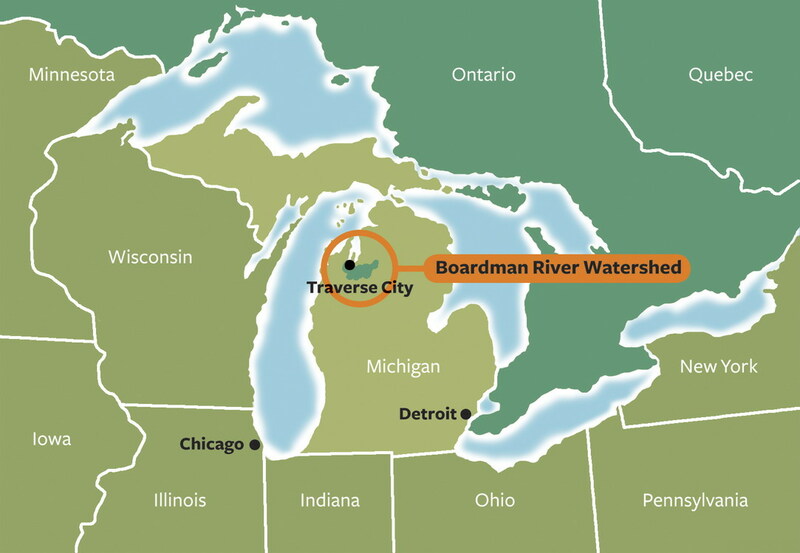 Traverse City, Mich. — Come summer, if all goes as planned, the waters of the Boardman River will for the first time in 91 years begin to flow naturally down to Lake Michigan. State and federal officials are proposing to start removing the Brown Bridge Dam – the most upstream of four dams on the river – in July. The U.S. Fish and Wildlife Service released an environmental assessment for the project March 27. The public comment period ended April 27. The federal agency examined two options: “No Action,” which leaves the dam intact, and “Dam Removal and Restoration,” which returns the upper river to its natural, free-flowing state. Deconstruction will begin if the agency finds no significant impact after reviewing the comments. The agency will announce its finding, according to Westerhof. Brown Bridge Dam is owned by the city of Traverse City. It was built in 1921 to provide hydropower to the region. It’s the first of three dams slated for removal. 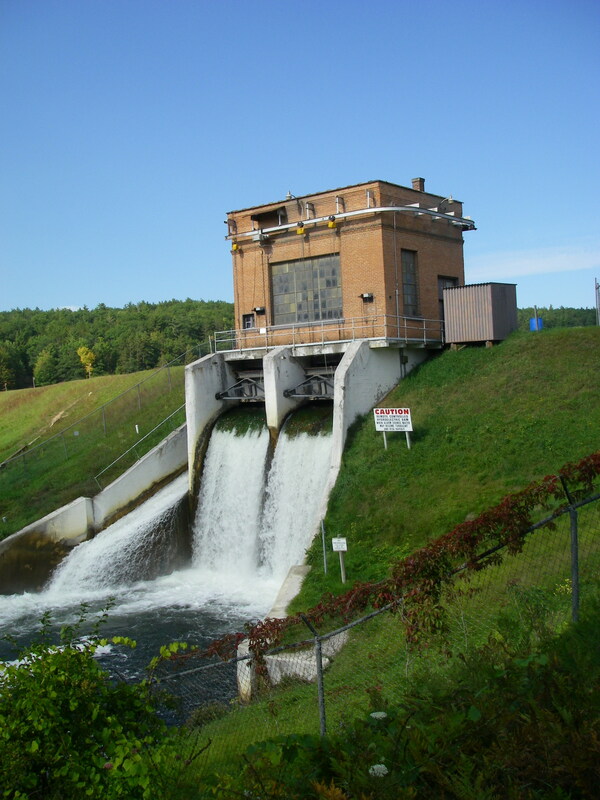 Environmental assessments are being developed by the U.S. Army Corps of Engineers for Boardman and Sabin dams, both owned by Grand Traverse County. A fourth dam, the Union Street Dam owned by Traverse City and located in town, will be modified to allow fish passage, but repaired to keep sea lamprey out. The Boardman project, including Brown Bridge, is estimated at $9 million. Much of the money will be federal, provided by the Great Lakes Restoration Initiative, Great Lakes Fisheries Trust, Bureau of Indian Affairs, Department of Transportation, and other sources including the Frey Foundation. “This project is not just about fish and water temperature. It’s about ecosystem-wide benefits,” said Todd Kalish, the DNR’s representative on the multi-agency implementation team reviewing the projects. Kalish is also its former chairman. Removing the dam will restore 156 acres of wetlands and 50 acres of upland habitat, and create a mile of fast-moving water, according to Kalish. Removal is expected to lower the water temperature, a plus when it comes to trout, a cold-water species. Studies show water upstream of Brown Bridge Dam can be 10 degrees warmer than downstream. The Brown Bridge pond was drawn down by 3 feet in 2008 and another 13 feet in 2011. A last 22-foot drawdown is still necessary, according to Westerhof. Anglers say they are pleased that the dams will be removed. The Boardman is considered one of the finer trout streams in the state. It is fished regularly for its brown trout and brook trout. Pitser and others, however, are concerned that state fish managers are considering allowing migratory fish like steelhead and salmon into the river. The dams currently keep them out. A past DNR study of the Boardman River examined the impact of allowing steelhead and salmon upstream. The study showed some impact on the brook and brown trout fishery, but “its significance would be hard to measure,” Kalish said. Allowing migratory fish to come upstream also means more anglers are likely to come to the Boardman. That has some talking, too. The increased fishing pressure has its good and bad points. It is viewed as good for the economy, but also means more anglers on the stream and at local access points. Kalish said that will have to be weighed against the benefits involved for sturgeon restoration, boosting the Lake Michigan steelhead fishery and the local economy. Keeping lamprey out will be a primary objective, he said, along with gobies and other invasive species. Brett Fessell, the fish and wildlife coordinator for the Grand Traverse Band of Ottawa and Chippewa Indians, said the question of migratory fish has its pluses and minuses. He is the tribal representative on the Boardman Implementation Team. The tribes, he said, support removing the dams and “returning the Boardman to it natural conditions” – or at least as natural as possible. They prefer not to allow non-native species like salmon and steelhead into the river system. Any decision to do so has to be “thoughtful,” Fessell said. “Salmon, particularly coho salmon, spawn about the same time as brook trout. Damage can be done by displacing brook trout on the spawning beds,” he said. Fessell, however, is not a hard-liner on the issue. He accepts that times have changed. Allowing migratory fish upstream also brings with it another concern – the spread of contamination that collects in the bodies of migratory fish like salmon and steelhead during their years in Lake Michigan. Studies show that contamination is left behind in the eggs they drop that are consumed by other fish and in their dead carcasses, which may be consumed by other species. Preliminary research conducted by David Janetski at Grand Valley State University’s Annis Water Resources Institute showed that brook trout found in streams with salmon runs had higher contaminant levels than those from streams without salmon runs – in one case high enough to warrant listing on the state’s fish consumption advisory. Westerhof said his agency is concerned about that potential. This entry was posted in Uncategorized and tagged Boardman River, Conservation, Dams, DNR, Fish Passage, Fishing, Rivers, Trout, U.S. Fish & Wildlife Service. Bookmark the permalink. I”m willing to bet that the decision to let steelhead and or salmon upstream has, in fact, already been made. There are those in the DNR who are committed to this. The result: degraded brook trout populations, bank and habitat destruction by the influx of more fishermen, increased trespassing violations on private land. The river must not be viewed solely as an economic engine, nor as a breeding ground for steelhead and salmon…we have streams which do this now. Their is a lot of $$$ committed to this project…Tax Payer Money…and as a Tax Payer I challenge the need for this huge expendature, and what is the expected return on investment. With an ageing population, how many people are still physically able and desire to wade vast stretches of fast free flowing river. The Dams create a choke point to stack up huge numbers of fish, which the average weekend fisherman would consider pursueing if the expectations of actually catching something exits i.e. we need only look to 6th St. Dam in G.R., Tippy Dam, etc etc… we certainly do not any more spawning grounds for Steelhead and Salmon, as Lake Michigan is on the verge of collapes from shear numbers. I believe we need more access to the waterways we already have, parking lots, campgrounds, which we are losing…what good is a pristine trout stream if we have limited access to it ?